First, Tech inked quarterback Knox Kadum. The Rome High School (Ga.) product gives Tech three scholarship quarterbacks on the roster, alleviating some concerns about a worst-case scenario at the position. Kadum gives Tech not only an emergency option that they can lean on, but also a developmental project at the most important position on the field. Kadum wasn’t originally a take but getting him makes the Hokies stronger. 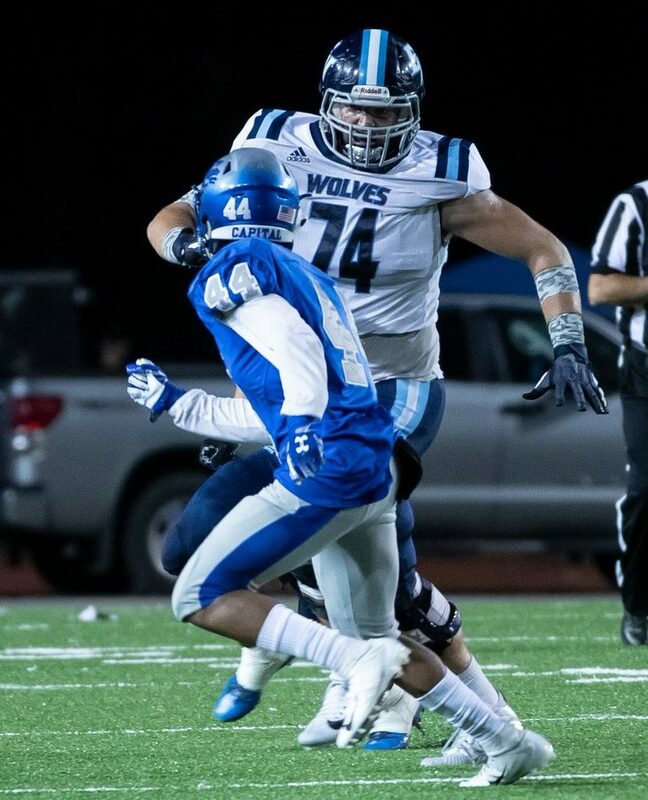 Later, the Hokies finalized the acquisition of JUCO defensive tackle Jaden Cunningham, a 6-foot-1 and 310-pound behemoth that beefs up one of the thinnest positions on the team. Cunningham joins fellow JUCO prospect Dashawn Crawford and freshmen Mario Kendricks, Norell Pollard and Joshua Fuga, giving Tech five defensive tackles in a single class. There’s no way to know if any of these guys will pan out, but it gives Fuente options at a position where he had few to start with. The cherry on top was the flip of Doug Nester, a top-flight offensive lineman who was originally committed to Ohio State. Nester gives the Hokies three four-star offensive linemen in 2019, a feat for sure. But Nester’s decision means more than just a lot of talent coming to the trenches. In three straight years, Fuente and his band of assistants have gone toe-to-toe with some of the top programs in the country on the recruiting trail. They haven’t won all those battles, but they’ve won more than Tech fans are used to winning. In 2017, Virginia Tech secured prized recruit Devon Hunter over programs like Auburn, Florida and 30 other programs. While Hunter has yet to blossom into a contributor, it was evidence that Fuente could hold his own in recruiting. The following cycle, Fuente nabbed two of his top choices — quarterback Quincy Patterson and linebacker Dax Hollifield. Patterson received all sorts of interest from schools after committing to Tech, mainly from Penn State. Patterson stuck with the Hokies, and now has a shot to win the starting quarterback job after a redshirt season. Hollifield flirted with several other schools, but ultimately he couldn’t say no to Bud Foster. Hollifield turned down programs such as Stanford, Florida State and South Carolina. And this year, Tech punched Ohio State right in the mouth by stealing one of their top recruits. Nester would have been Ohio State’s fifth-best recruit in the 2019 cycle, according to 247Sports. Urban Meyer’s retirement triggered Nester to look elsewhere, but Fuente, offensive line coach Vance Vice and the rest of the staff deserve credit for finishing the deal. By concluding the 2019 recruiting cycle on a high note, Fuente has successfully changed the narrative. The flood of transfers has been stemmed for the moment as spring ball could send a few more players elsewhere. But for now, Fuente has turned the tide. A couple weeks ago, it seemed like the sky was falling, and some, including myself, openly pondered if Fuente had lost his ability to lead this team. What Fuente has shown since he arrived in late 2015 is the ability to navigate stormy waters. He led the program to a 10-win season in his first year as head coach, pushed a redshirt freshman quarterback to a nine-win season in 2017 and rebounded from a four-game losing streak to not only extend the program’s lengthy bowl tradition, but extend the program’s dominance over Virginia. He weathered the swell of transfers we saw in December and January and capped off a recruiting class that fills many of the team’s needs. Things are not perfect, and questions still need to be answered. But fans should breathe and relax. The Fuente Express is still rolling along, and its destination still seems promising. Why are so many football players transfering. It’s the natural result of not just the transfer portal, but graduate transfers being allowed to play immediately. Many of Tech’s transfers were guys who graduated and can play right away, making them more attractive in the short-term. Kumah, Jackson and Cunningham are all slated to be eligible right away. It’s a new world for all schools as players can transfer pretty easily now. Hated losing a Kumah but Fuente and his coaches replaced his losses with higher rated/better talent. Remains to be seen how they pan out on the field but on paper it’s looking pretty good. but what about eugene asante. We could have used him, now he’ll be playing against us. Losing Asante didn’t help, but linebacker isn’t a position that Tech is hurting at right now. There’s talent and depth at the position and as long as they don’t struggle to recruit at LB next cycle, they’ll be fine. Most of the guys, if not all, transferring were from Beamers last recruiting class. They weren’t Justin’s guys to start. I think many saw they were losing playing time to his guys. McClease changes his mind and is staying. He’ll get more touches next year and be happy he did.